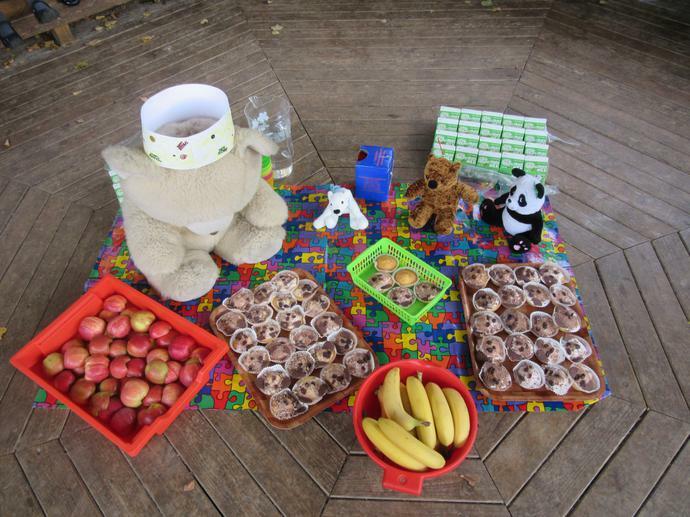 We had a dinosaur party in the forest. 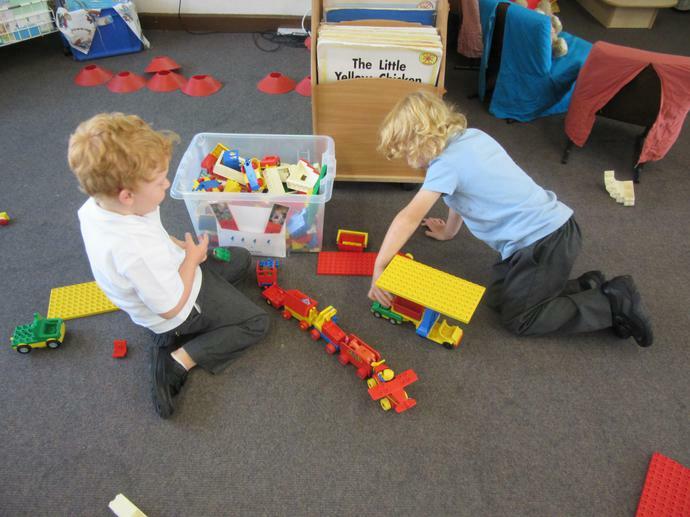 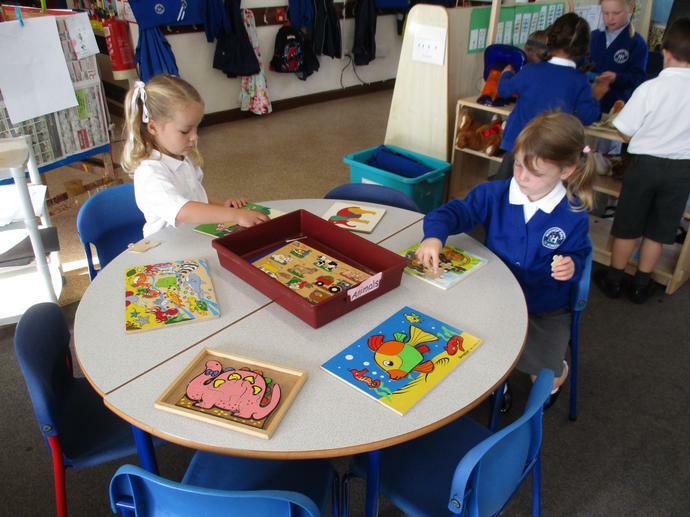 Our topic this term is all about dinosaurs. 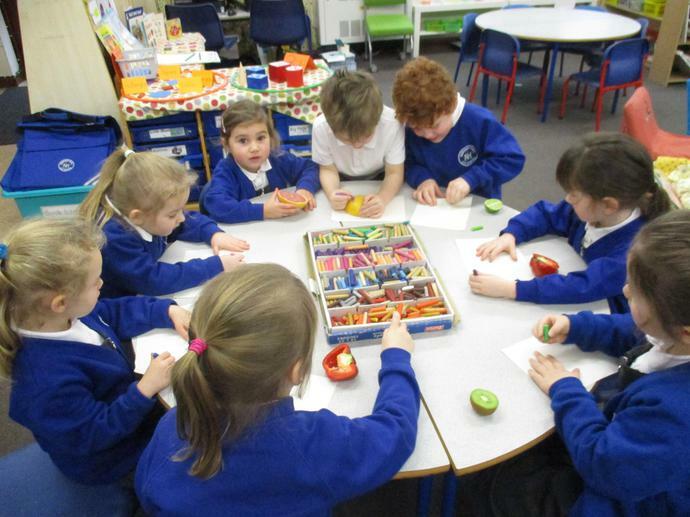 We painted our dinosaur models. 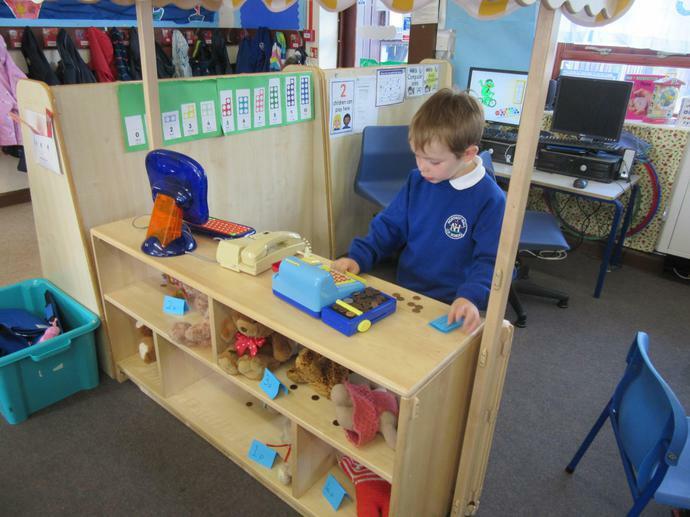 Some of the models we made. 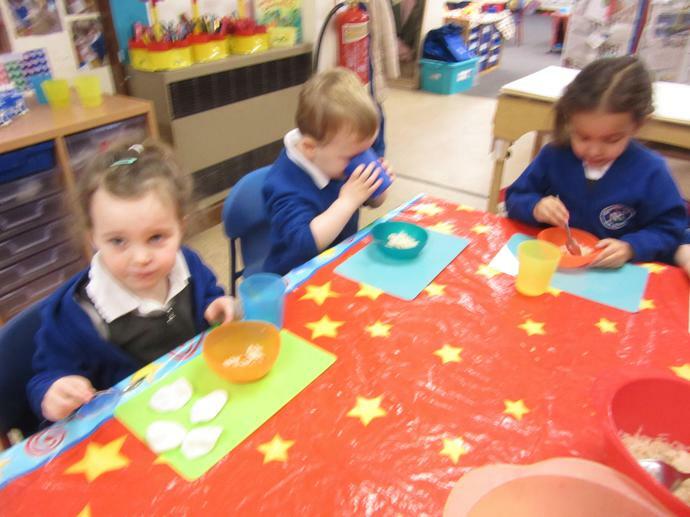 Using clay to make dinosaurs. 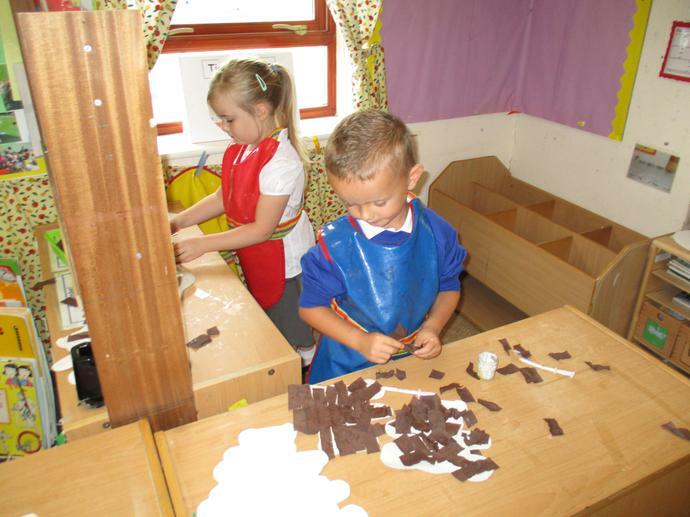 Some of our clay models. 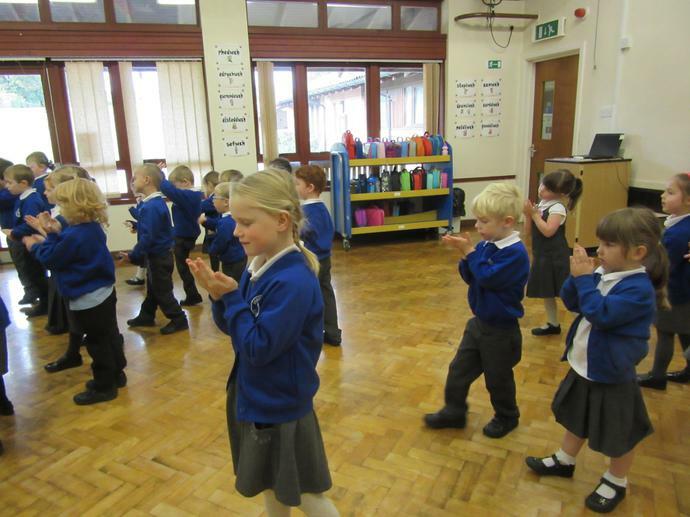 We have been finding out about dinosaurs. 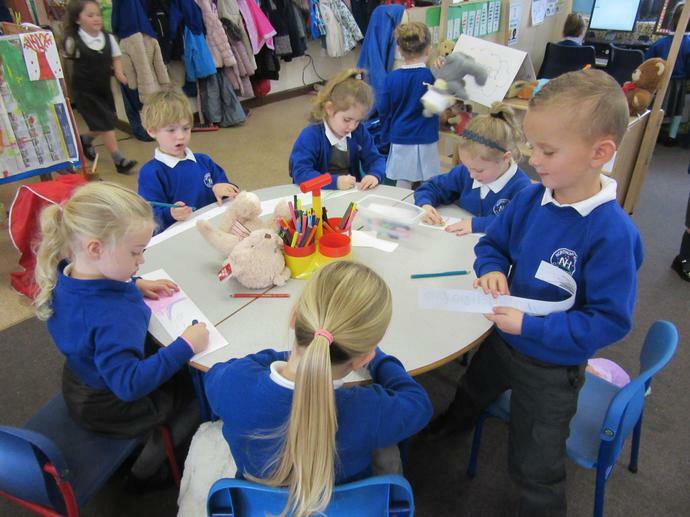 Drawing dinosaurs on the interactive whiteboard. 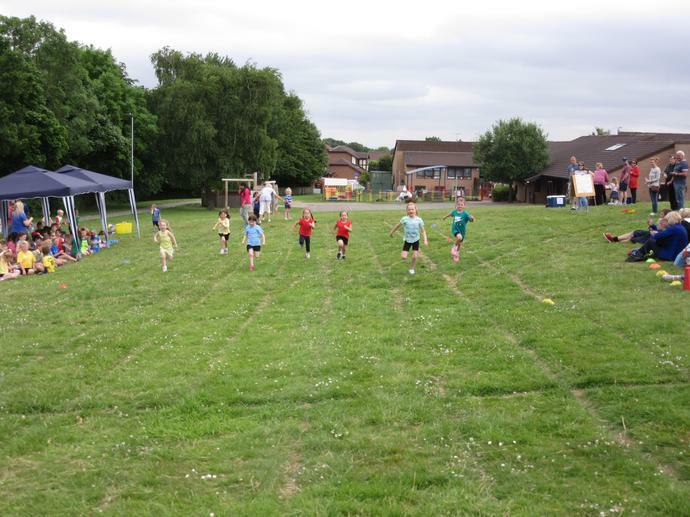 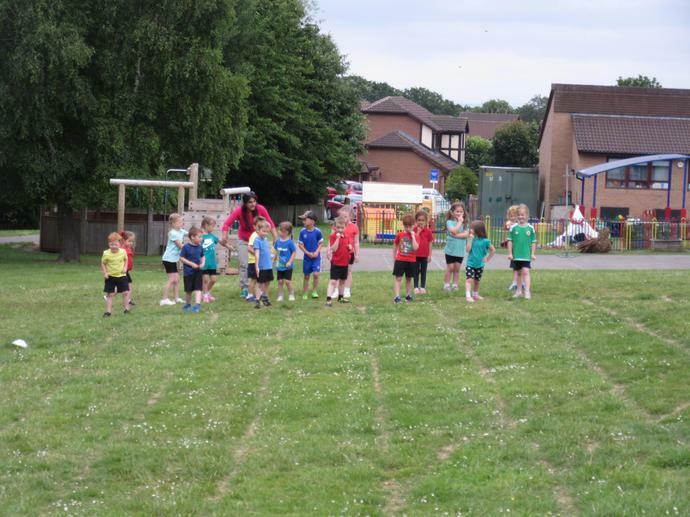 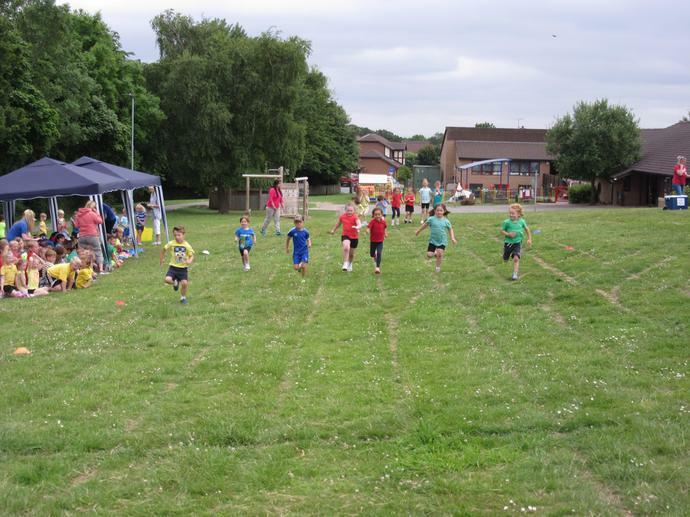 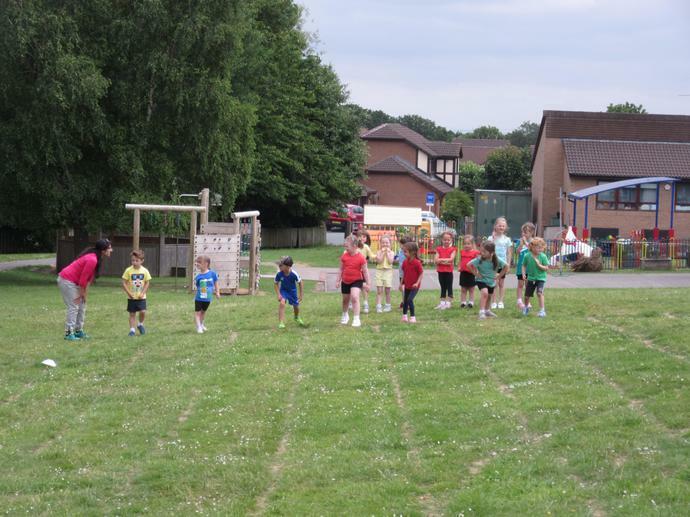 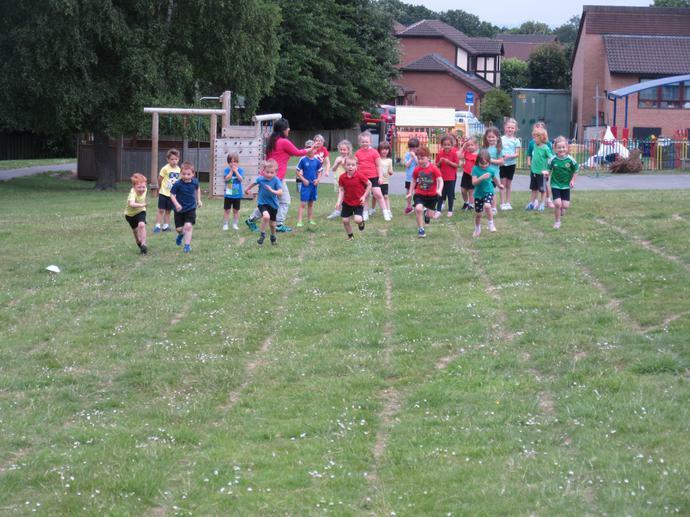 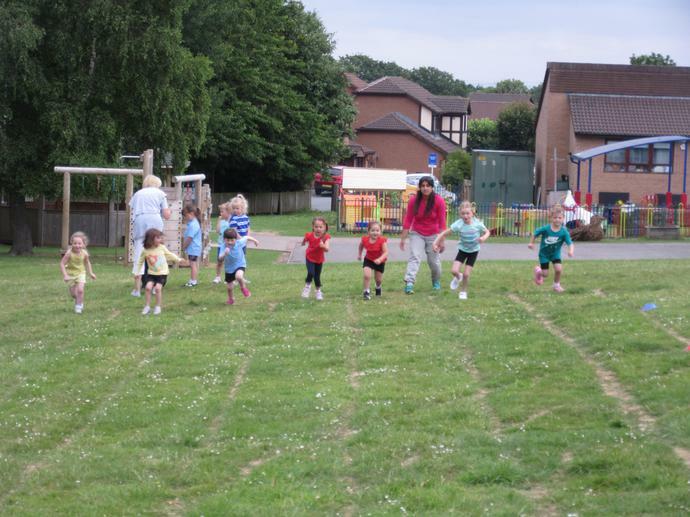 Nursery and Reception had lots of fun yesterday on our Sports Day! 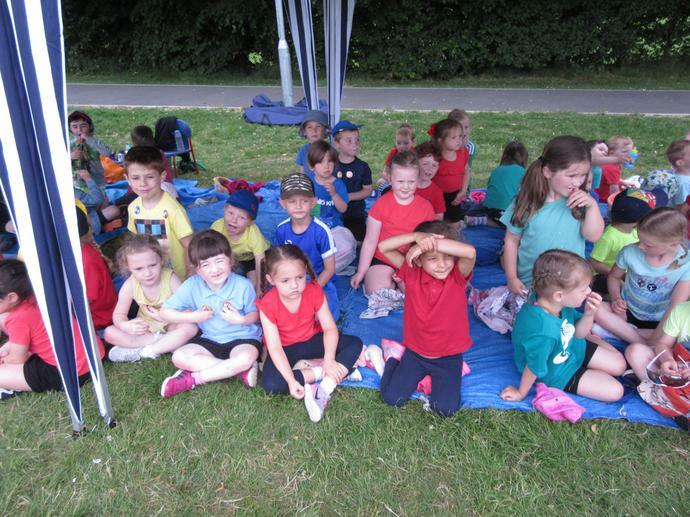 Please remember that our class photographs will be taken on Thursday 18th May. 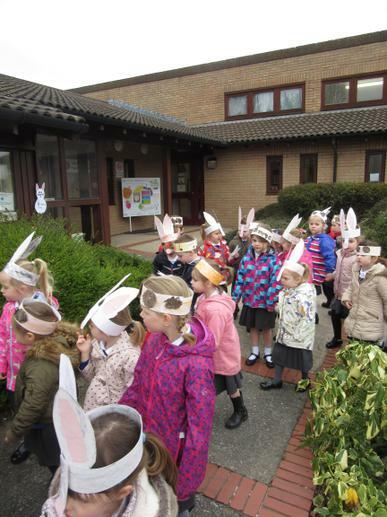 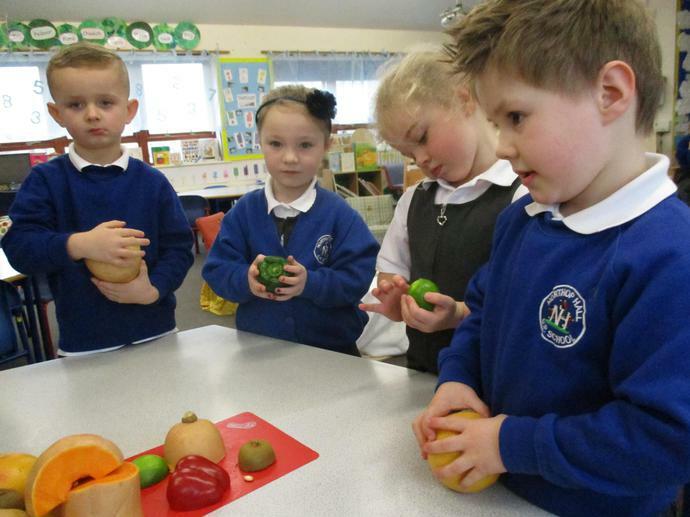 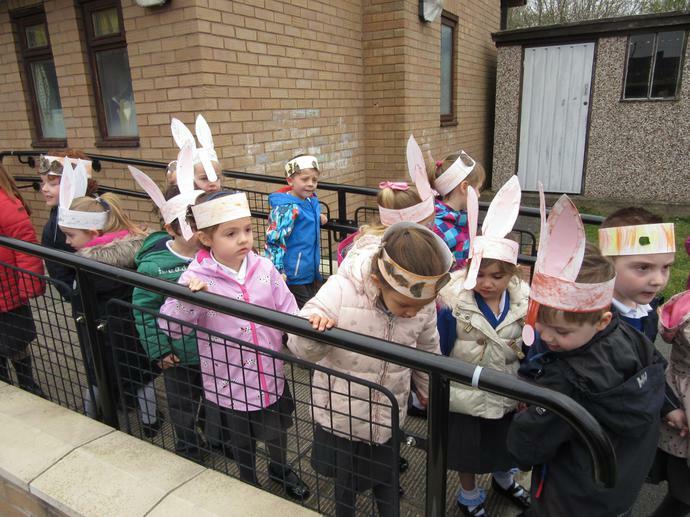 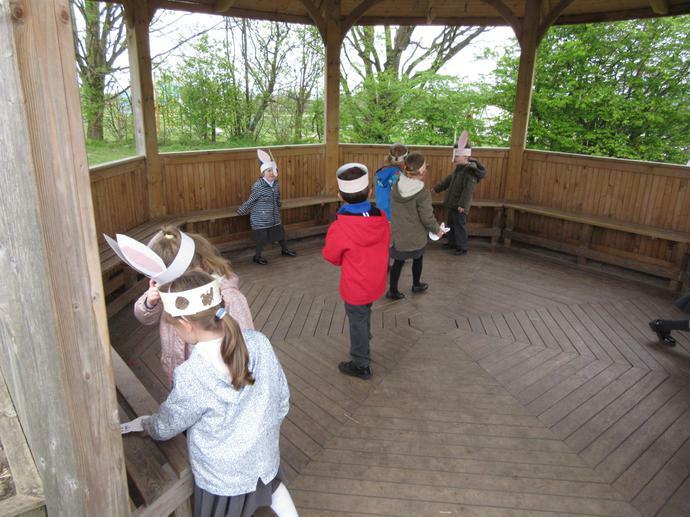 Nursery and Reception children went on a Easter hunt around the school. 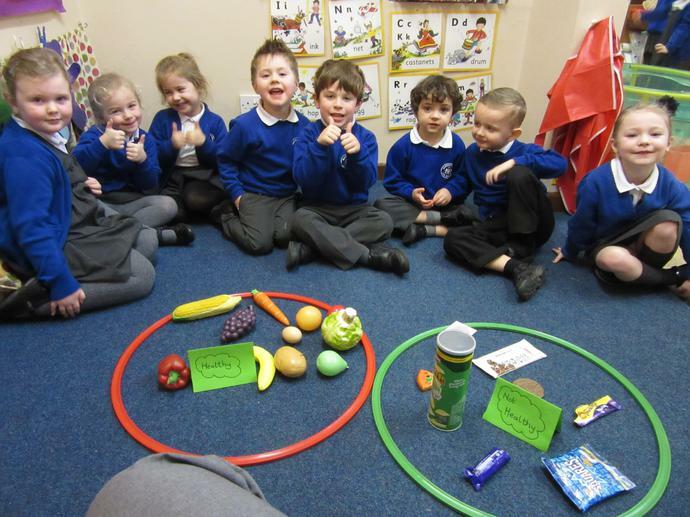 We all followed the clues the Easter bunny had left for us to find a chocolate treat. 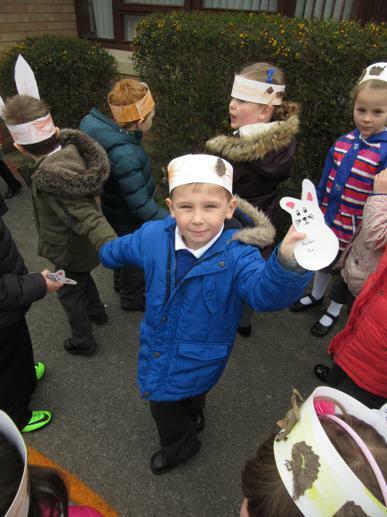 We were very lucky as he even filled up our Easter baskets with yummy chocolate eggs! 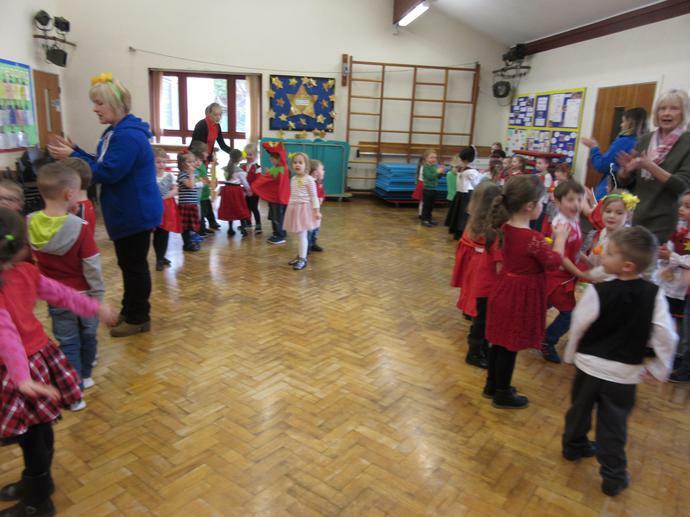 We finished off the morning with some singing and dancing in the hall, to some of our favourite spring songs. 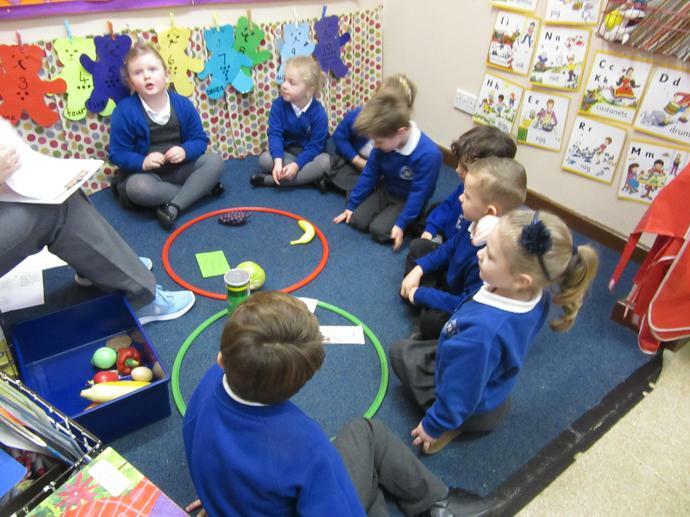 We had a visit from a librarian from Mold Library today. 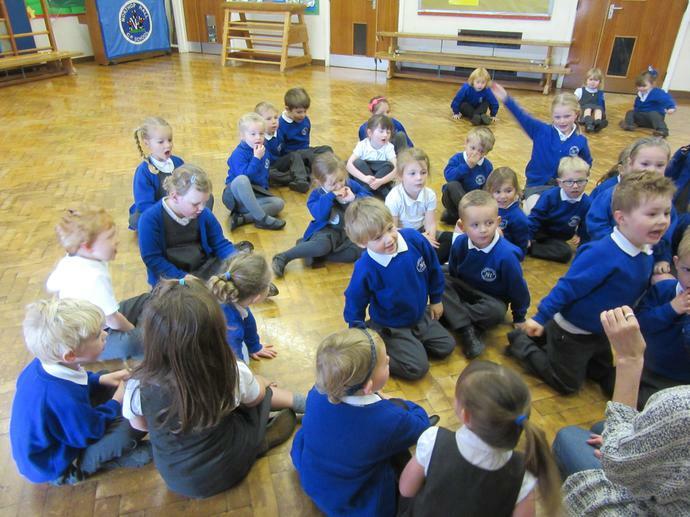 She shared some stories with Nursery and Reception. 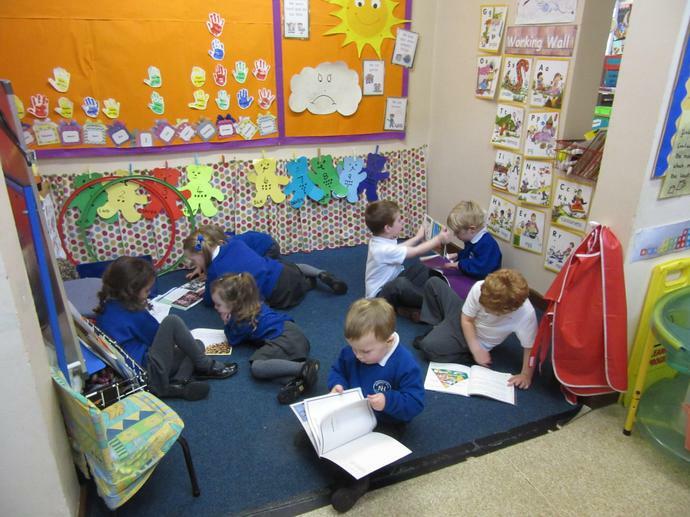 The children were excited to learn that they could use any of the 7 libraries in Flintshire. 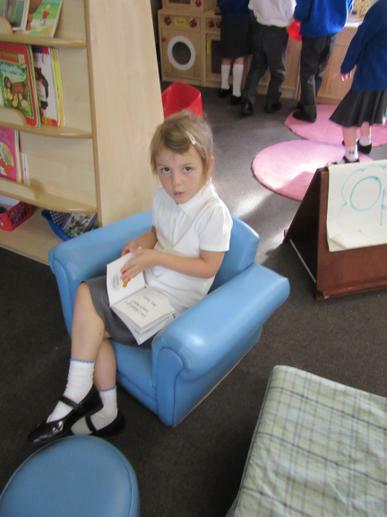 They were also told that they could borrow up to 15 books for 3 weeks! 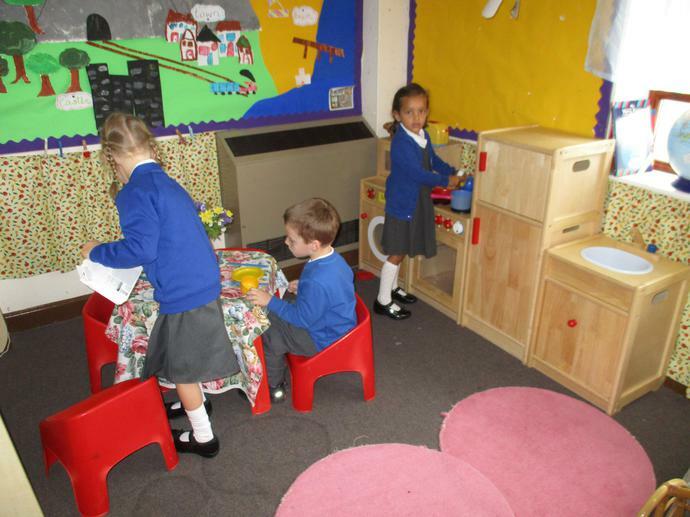 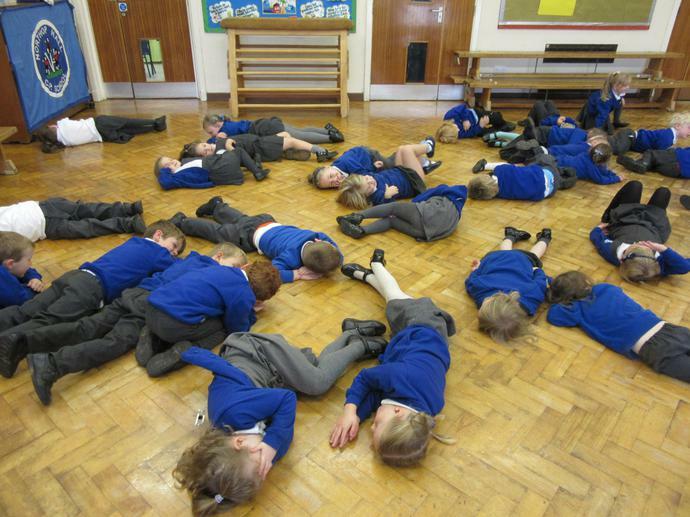 We have had a busy week in school. 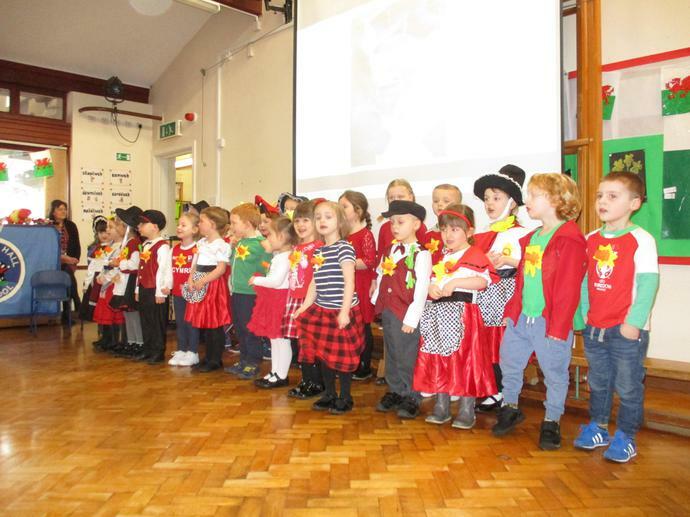 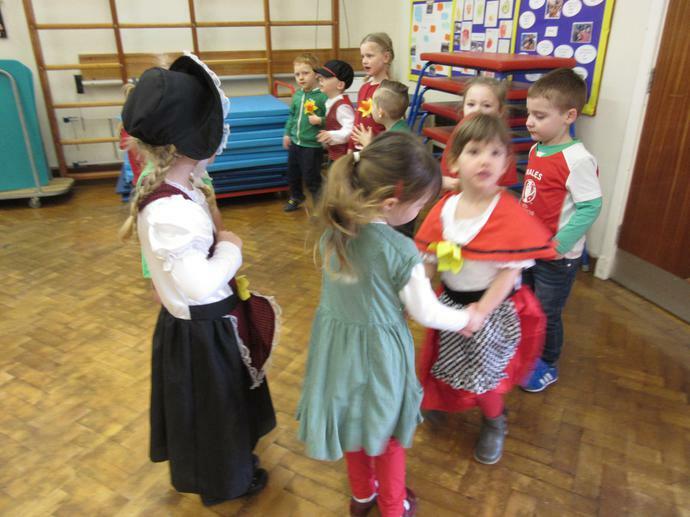 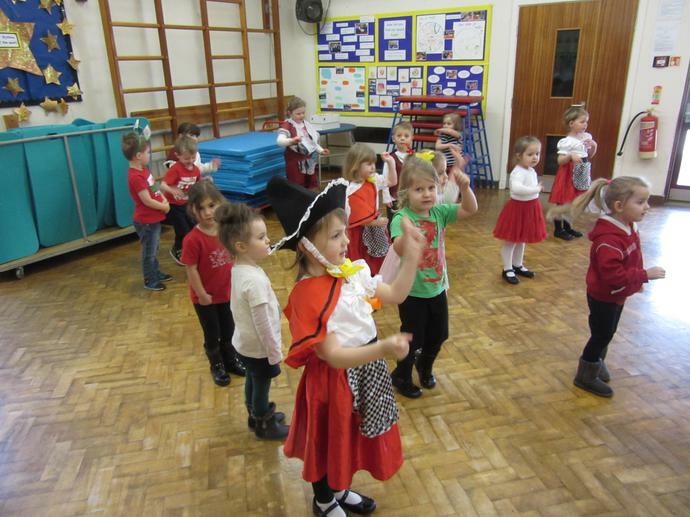 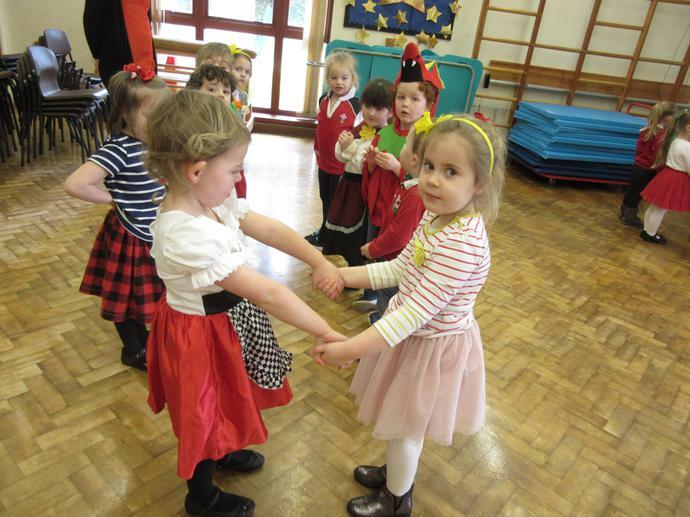 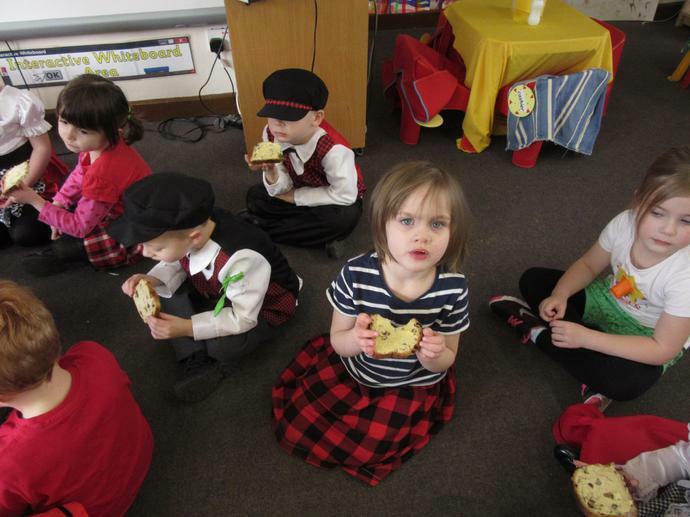 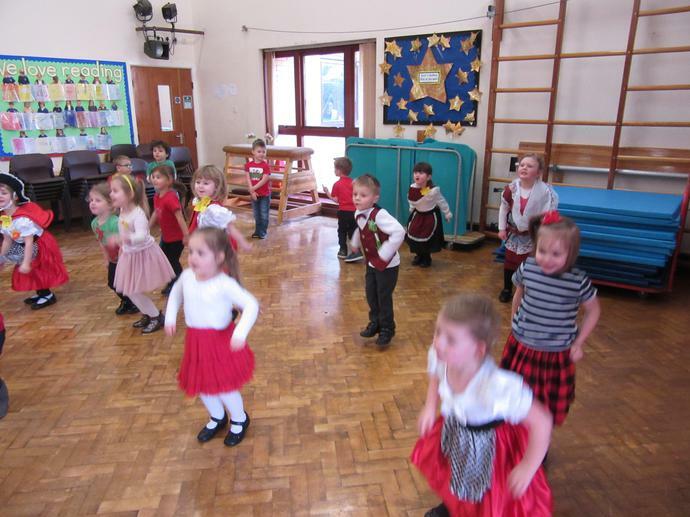 We celebrated St Davids Day. 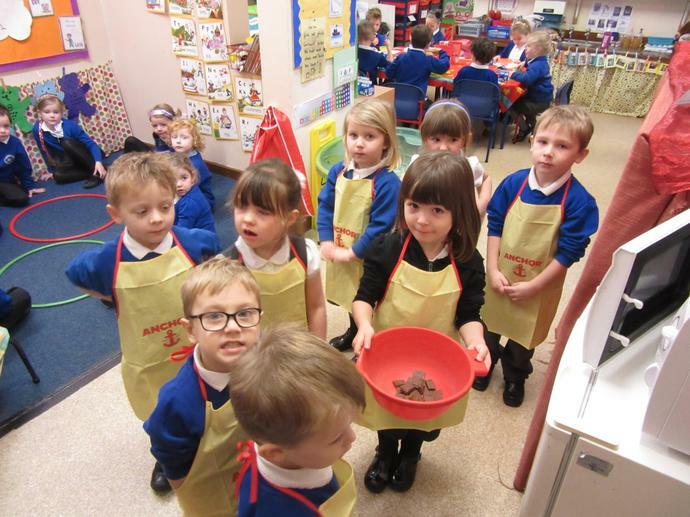 We paid for our pancakes. 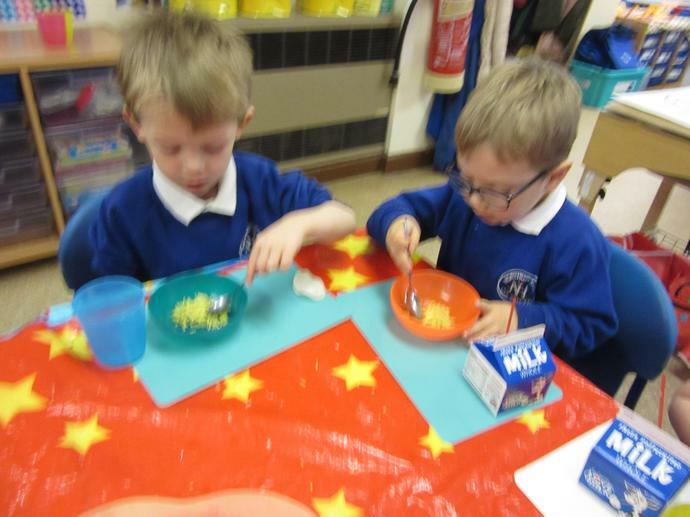 We had a go at tossing pancakes. 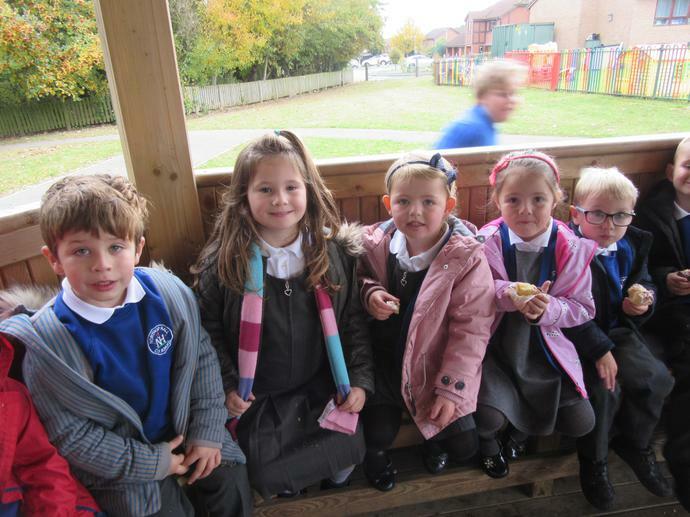 Please scroll down to read our latest newsletter. 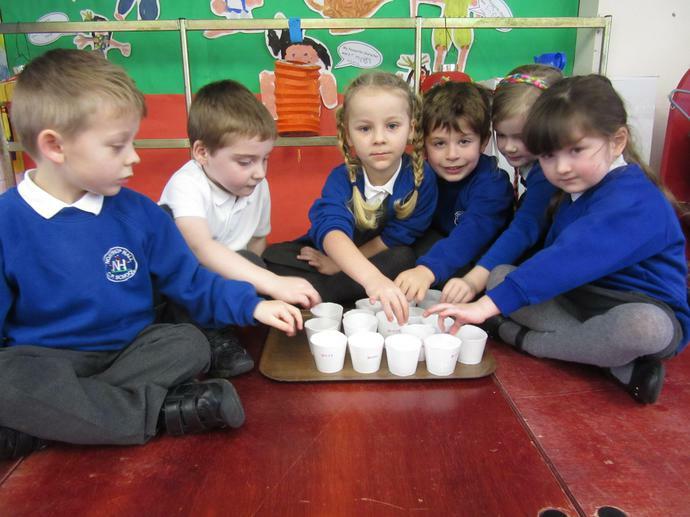 We enjoyed our Science day in school. 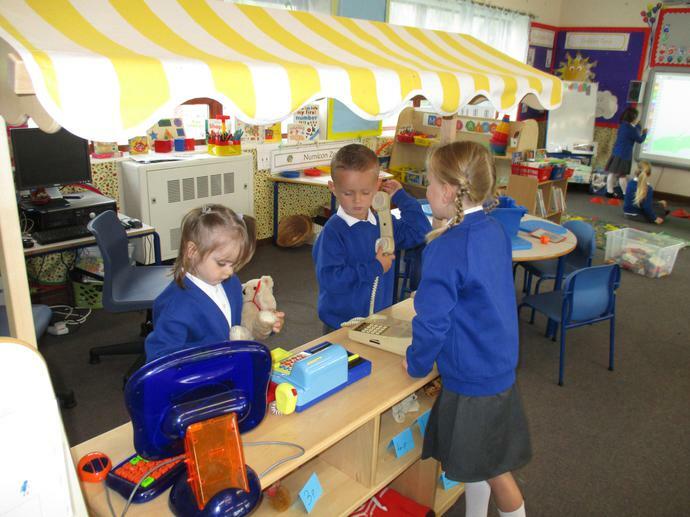 One of our areas of learning this half term has been shape. 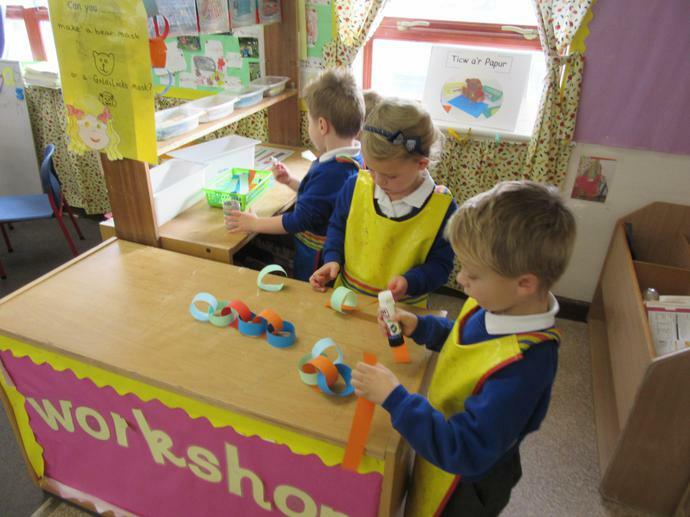 At the Christmas Fair we will have a stall selling the items the children have been making in class. 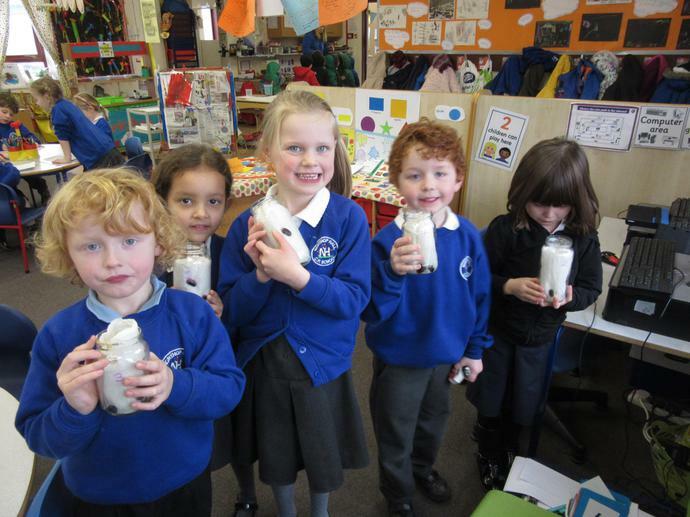 Reindeer food will be on sale at 50p a bag. 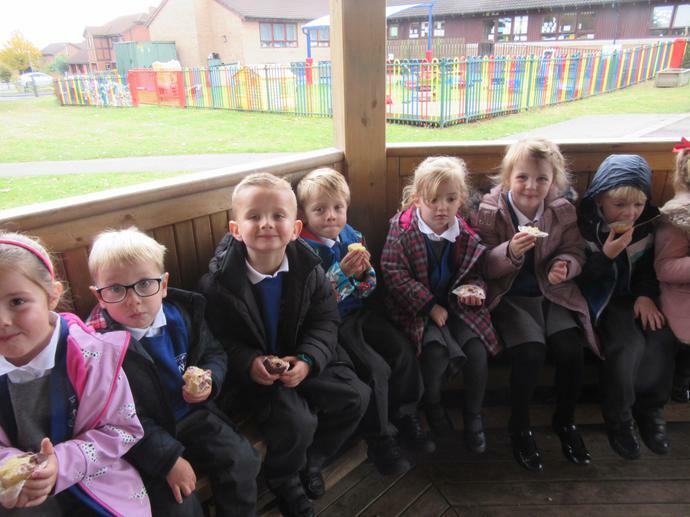 Reindeer hot chocolate cones will be on sale at £1.50 each. 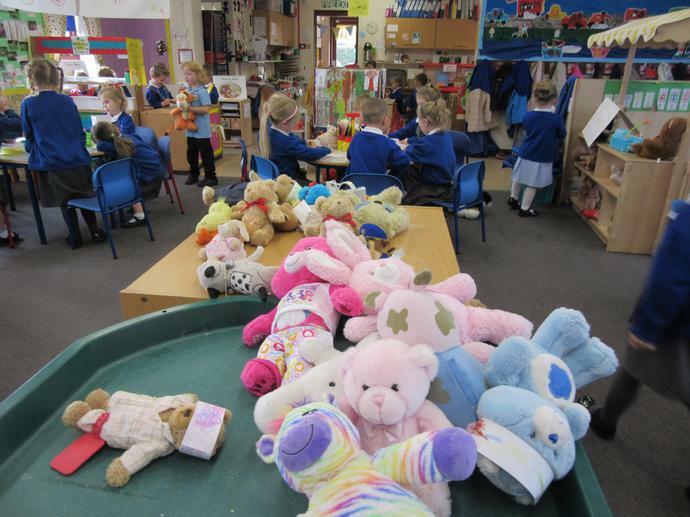 Items will be sold on a first come first served basis so act quickly to avoid disappointment. 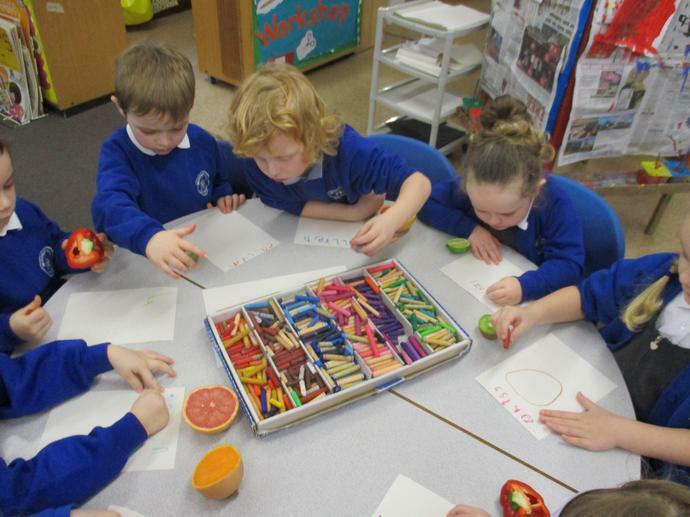 We have been busy making things to sell at the Christmas Fair. 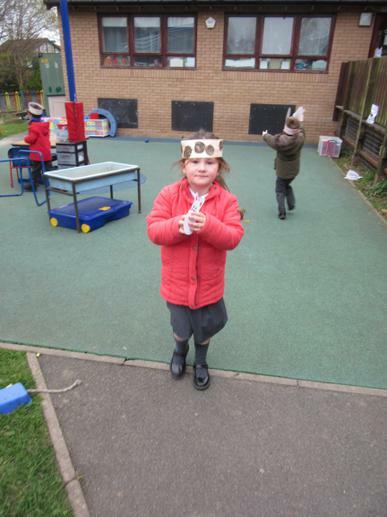 We went on a bear hunt 're - tell'. 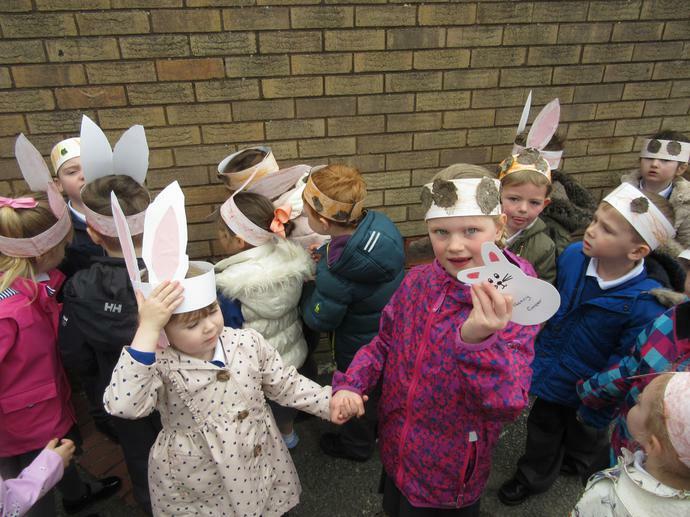 One shiny wet nose! 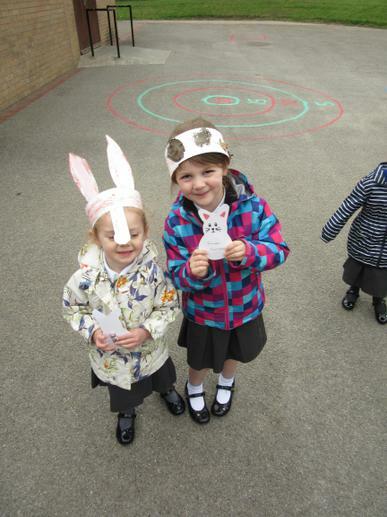 Two big furry ears! 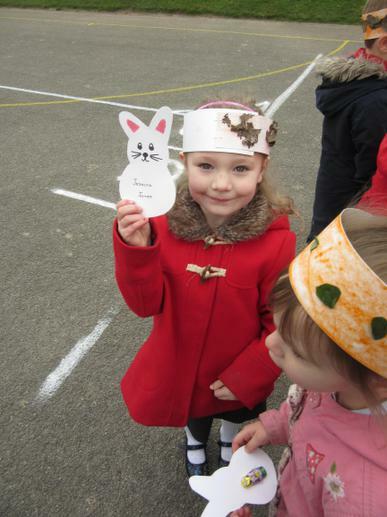 Two big goggly eyes! 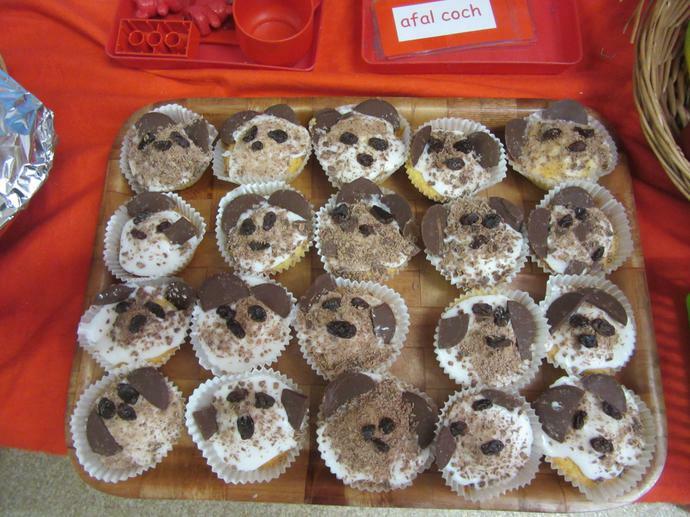 IT'S A BEAR!!!!! 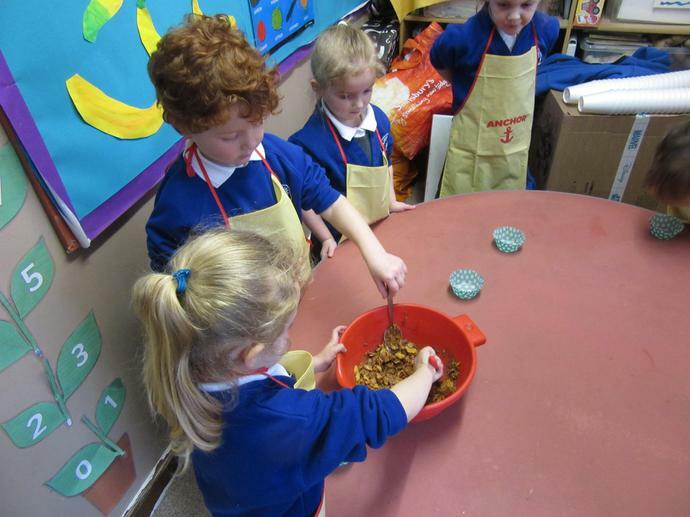 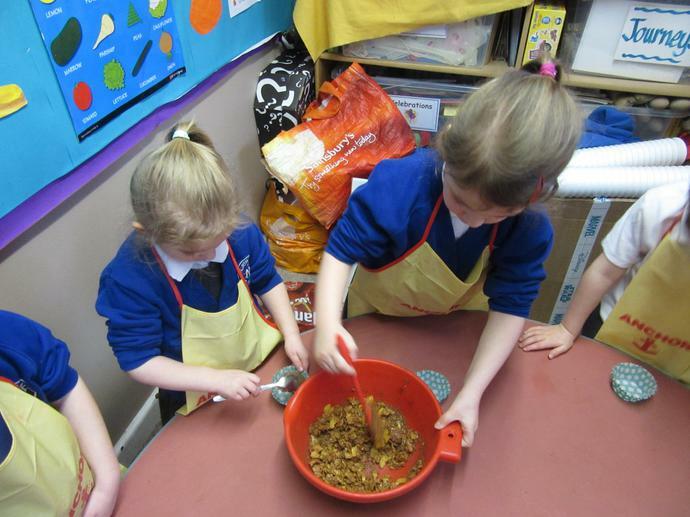 We have been making cakes.